In early August 2018, Tariq Mills and Caitlin Tressler found out they would be blessed with a child-- their first, a lifelong dream for them both, having each struggled with signs of infertility. Just a few weeks later, August 27th, 2018, Tariq was admitted to the hospital after three sleepless nights of uncontrollable muscle spasms around his chest. He was diagnosed with a Pulmonary Embolism - a sizeable bloodclot that was lodged in one of his lungs, and he was at severe risk of stroke. He was immediately put on oxygen and blood thinners, and sent home after a few days of rest to continue treatment at home. Despite the harrowing diagnosis and continuing pain, Tariq was determined to push forward, motivated by the news of Caitlin's pregnancy to begin a new career with the Regional Transportation Department of Denver. Over the next few weeks he began training, going to classes at 5am every day, and studying for hours each night to learn the hundreds of systems and routes he would be expected to have memorized for testing. He was flying through the course, maintaining the highest GPA in his class, and really enjoying learning how to drive the 60 foot articulated buses. He attained his Commercial Driver's License quickly, and he and Caitlin became increasingly excited about the prospect of stability and family life ahead, after many years they both had spent in the tumultuous and sometimes agonizing service/catering industry. On the morning of November 11th, 2018, after a week of sore feet and ankles initially attributed to the new sensation of driving a large bus, Tariq awoke nearly unable to stand from the pain that was now radiating up through his calves and both thighs. Something wasn't right, and instinct brought him to admit himself again to the Emergency Room. There over the next two days he underwent comprehensive observation and scans of his lower body. It was found quickly that Tariq had developed countless bloodclots throughout his thighs, calves, and between the bones of his feet, DVT's. Doctors were a bit baffled-- they said, "We don't know why your body is producing clots at this extreme rate. Your hemoglobin count is half what would be considered low for a normal adult." His hemoglobin was a 7, and his oxygen dangerously low. He was losing blood internally somewhere. A colonoscopy and endoscopy were scheduled. Initially, the doctors didn't give much information about what was found-- but that there was a "troublesome" mass causing partial blockage of the colon. Another night in the hospital waiting for answers, and now a full-body CT was ordered as well. The news wasn't good on November 16th -- the mass was cancerous... And it had spread. Scans showed that the tumor in his colon had spread the cancer throughout his liver as well, in a way that was inoperable. 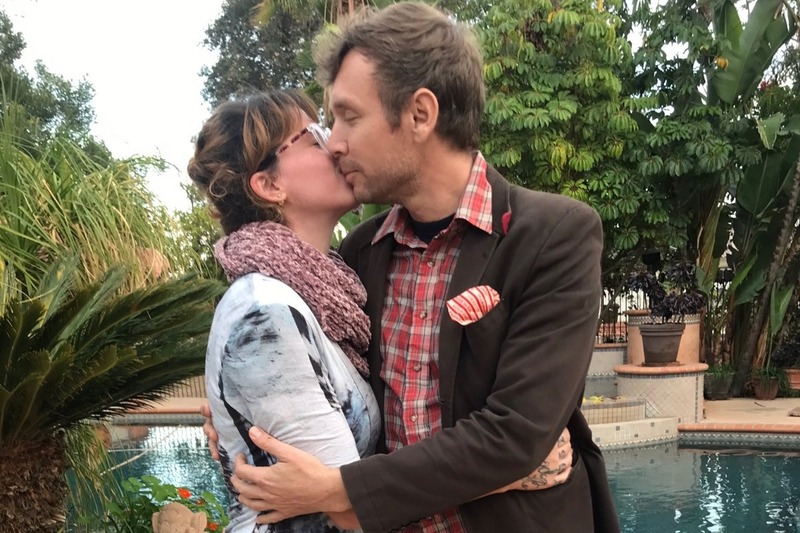 It wasn't just one lump that could be removed, but a total system of many cancerous pockets and protrusions in and out of the liver-- and it was already reaching his lungs. They said it was aggressive, and little could be done but to begin chemotherapy immediately and indefinitely. It was classed terminal, stage 4 colorectal cancer, metastasized through the liver and lungs. Tariq had to leave the training course for RTD, as his health risks disqualified him from holding the necessary permits to drive passengers. Shocked and unsure what to do next, knowing they couldn't afford to bleed through their small savings to pay rent while in this state of turmoil, Tariq and Caitlin quickly loaded a few possessions onto their truck, and sadly left their life in Denver behind, to stay with Tariq's parents, with whom he had reconnected earlier in the year. They arrived in California in November 20th. Meanwhile, Caitlin was finally through a tough first trimester, and it was revealed that they would be having a boy, due April 25th, 2019. Tariq's own 42nd birthday would be April 20th. What a gift--! Nothing could be more bittersweet. Thanksgiving was spent with Tariq's grandparents and cousins, and that was one of the last times to date that he was able to be up and be social, as his health began declining rapidly with every passing day. As he waited for insurance to approve his care, it became harder and harder for him to move around and breathe well. On December 18th, after some lab work ordered by his new oncologist, Dr. Karimi, he was told that his cancer contained a cell mutation called BRAF. This meant that it was a particularly stubborn type of cancer to treat, and that he would have to be prescribed an extremely intense chemo regimen-- three different chemotherapy chemicals would be infused over 3 days, every two weeks. He was ordered to have his chemo port installed as quickly as possible, the next day, December 19th, and was meant to begin the infusions that Friday, December 21st. The chemo port installation seemed to go well, but the next day was a different story. Tariq woke up in extreme pain and unable to catch his breath. For a while he tried to push through it, but by that evening conditions had not improved, and it was decided that the paramedics would be called. They arrived and examined him thoroughly, and determined that there may be a problem related to his Pulmonary Embolism, which was still active. They took him to the emergency room at Temecula Valley Hospital. The doctors at Temecula Valley agreed that there was indeed a problem with the pulmonary embolism -- it had shifted, and in fact, he had developed an entirely new PE in the opposite lung as well. However, this was only the beginning of the trouble. It was discovered that Tariq had also developed a nasty case of Pneumonia. So Tariq stayed in the hospital and was unable to start the chemo as scheduled. He would have to wait until the pneumonia was cleared. 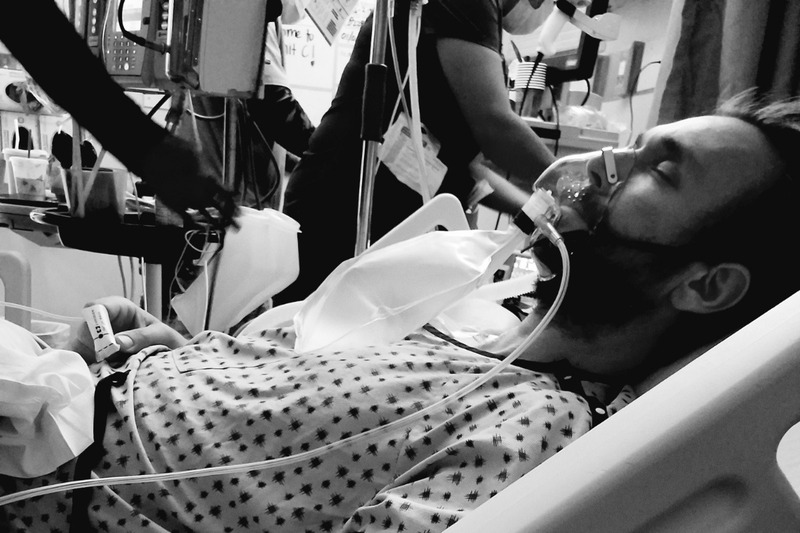 They kept him at Temecula Valley through Christmas, and it seemed like he was responding well to the antibiotics and might be able to come home a few days later, but they would wait until approval from insurance came through to send him home with his own oxygen machine because he could no longer breathe well on his own. During this wait, suddenly things worsened -- he became unable to use the restroom and was vomiting up any food he tried to consume. A CT scan revealed that his colon had become obstructed. 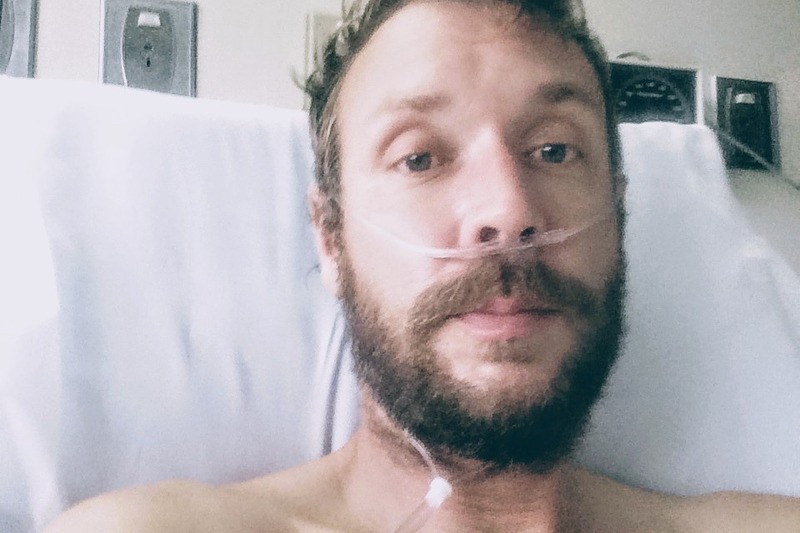 They first attempted to decompress his stomach by inserting a vacuuming pump through his nose and throat, and restricting him to intravenous nutrition only. This was unsuccessful, and it was determined that he should be moved to the City of Hope Comprehensive Cancer Center, where they would be equipped to perform surgery. He arrived at City of Hope on December 30th, and there it was discovered that in fact his pneumonia had not improved, but fully returned. On the positive side, he was able to return to eating and drinking, and the City of Hope doctors said that right now his colon was only partially blocked, and that they would like to see how his tumor would respond to chemo before deciding on the surgery to remove his colon. Still, he would have to wait to recover from the pneumonia, and so it seems he will be in for a long stay. On January 2nd, Tariq had an ultrasound on his chest, and the doctors revealed that there was a large buildup of fluid around his lungs. On January 3rd, a thoracentesis was performed to remove 475mL of this unknown, clear yellow fluid, to relieve the pressure on his lungs. It was found that he also had pneumothorax (collapse) of the right lung in the lower lobe. The fluid would be sent to labs to determine whether there was a bacterial component. Meanwhile, he has also become quite jaundiced. The liver specialists have described the possibility that there may also be an obstruction of the passages in his liver, and that if this is the case he may require a surgery to correct it. He will be receiving that news over the next few days. It seems like Tariq has been receiving blow after blow, and this has all been happening so fast. 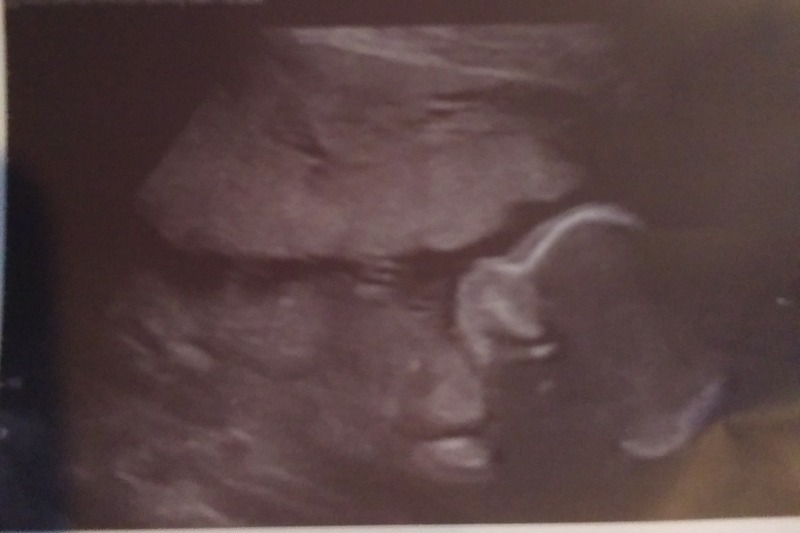 With baby (Axel Felix Mills) on the way, we want more than anything to see him improve and come home. Please, if you are able to make any donation, know that it is received in full, humble gratitude. Tariq, Caitlin, and Axel wish you all many blessings in return. Hi guys, I know it's been a little while since my last update on T, but I wanted to wait until I had anything positive to share with you. So, we were finally able to bring him home from the hospital last night (January 15th)! When I left off, Tariq was waiting on the results of an MRI in order to determine the next course of action. The liver specialist was concerned about blockage in his liver due to him being very jaundiced. They wanted to determine whether it would be possible to place a stent in his liver in order to improve its function. Unfortunately, the results of the scan showed that the cancer (and indeed blockage) in his liver was far too extensive for a stent to be beneficial. It was decided that the best thing to do would be to start chemotherapy as soon as possible, because even though it wasn't the best circumstances that they'd like for him to be healthy enough to start (still not having completely cleared the pneumonia), it was better not to put off treatment any longer. They scheduled him to begin chemotherapy on Monday, the 7th of January. However, when they were prepping him to begin the infusion, it was found that the skin over his chest port had eroded and become inflamed. They determined that the risk of infection would be too great to proceed with the port until it was given time to heal, and looked for another solution. They decided to install a pick line in his arm, a type of IV that could stay in him for a few weeks, until the port could be safely used. So they installed the pick line on Wednesday, the 9th of January, and began infusion later that evening. He had to be on the infusion for 48 hours, and to my dismay I was not allowed to be around him at that time, because the chemicals could interfere with my pregnancy. I was finally able to see him again on Saturday, the 12th, and it was really great to see that he seemed to tolerate the treatment very well. He said that although his baseline is now always at a 7 or 8 out of 10 on the pain scale (this is his new "normal"), the chemo didn't cause any additional pain or nausea. They kept him a few more days to ensure that his levels were returning after the chemo. They installed a new type of drain in his lung for the fluid that is still building up, that we will have to flush at home. They also had to wean him off of the intravenous pain medications so that he would be able to manage pain at home with pills. We had a hospital bed delivered to the house because it's not safe for him to lay flat too long in case the pneumonia returns, and also it's very difficult for him to sit himself up to eat. So far it seems to be comfortable enough. He's also got an oxygen machine helping him breathe. Since he's unable to tolerate much solid food at all, he has an IV bag here at home delivering nutrients 24/7 as well, and there is an in-home healthcare service that is assisting us with changing the bags and draining his chest pump. That's another thing I wish I could do for him, and normally would, but they've told me to steer clear while I'm pregnant. It is nice though that I'm able to have a bed set up in the same room next to him. At least I'm still able to help out with some things like making sure he is comfortable, encouraging him to eat fruit and drink water, administer his injections, and just hold his hand and talk to him a little. This is so hard for everyone. We are all doing our best to keep it together. Thank you again to everyone who is continuing to keep us in your thoughts and supporting us in any way. I just want to tell you all that I am so sorry that he's unable to manage having visitors. I know a few of you are anxious to see him, and I understand completely. If it were up to me you could all come as much as you want, and Tariq truly wishes he were strong enough for that as well. His pain is just so bad and his energy is so low-- it takes too much out of him emotionally and physically to try to handle it, so it's really best that he focuses on taking it easy. I would love to encourage anyone to send notes, cards, photos, art or anything like that if you wish to reach out to him-- I think it would be really nice, so if anyone is interested please email me: caitlinmarietressler@gmail.com, and I will help with that. Also, if anyone is interested in coming to the launch of Tariq's beer collaboration with Kilowatt & Coronado Brewery, plan to be in Ocean Beach (San Diego) at the Kilowatt OB tasting room on February 16th! The brew is called "Love & Be Wise," and it is a pomegranate hibiscus Whit! Yum. I will have more details about the time and event coming soon. 1. The organizer of this fundraiser is Caitlin Tressler. She is from Charlottesville, Virginia and resides in Temecula, California along with Tariq Mills who is from Pacifica, California. 2. Caitlin Tressler is the spouse of Tariq Mills, for whom funds are being raised. 3. Funds raised will be spent on the prescription drugs which are not fully covered by Medi-Cal. Medi-Cal only allows six prescriptions per month to be processed with their discount, and Tariq currently has more than ten different meds he must take daily, most of which are very expensive. Any funds not spent on medications will go toward costs for the arrival of Tariq and Caitlin's son as well as daily incidentals. 4. The plan for withdrawal of these funds will be to do so only as necessary and as sparingly as possible. They will go directly to our bank account to be accessed for medications and other necessities when appropriate.